Llanengan lies towards the tip of the Llyn Peninsula, a mile or so from Abersoch above the wide bay Porth Neigwl commonly known as Hell’s Mouth. The church here is dedicated to Engan as is a nearby well. Engan, the Lives of the British Saints informs us, Is more correctly Einion, once a prince of the area and a brother of Saints Seriol and Merion. 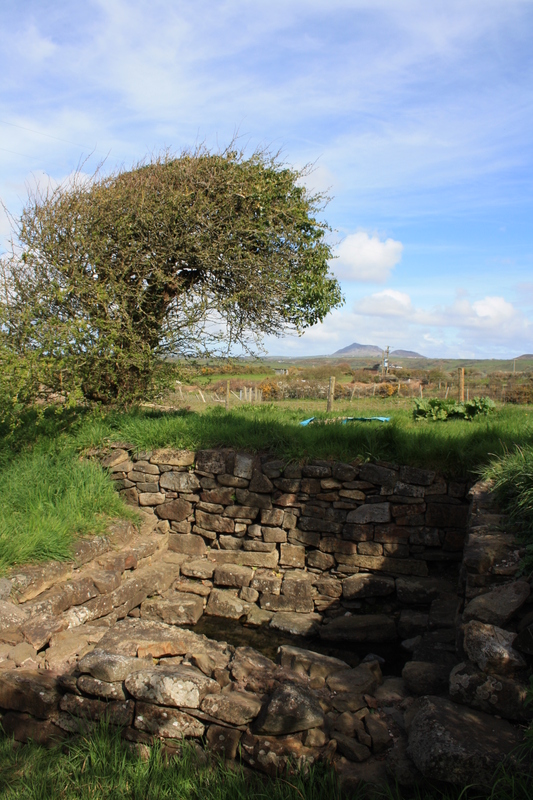 It was Einion who reputedly gave land and founded the monastery at Penmon on Anglesey where his brother Seriol took charge; and we are told it was Einion who gave the island of Bardsey to Cadfan to start the monastery there. 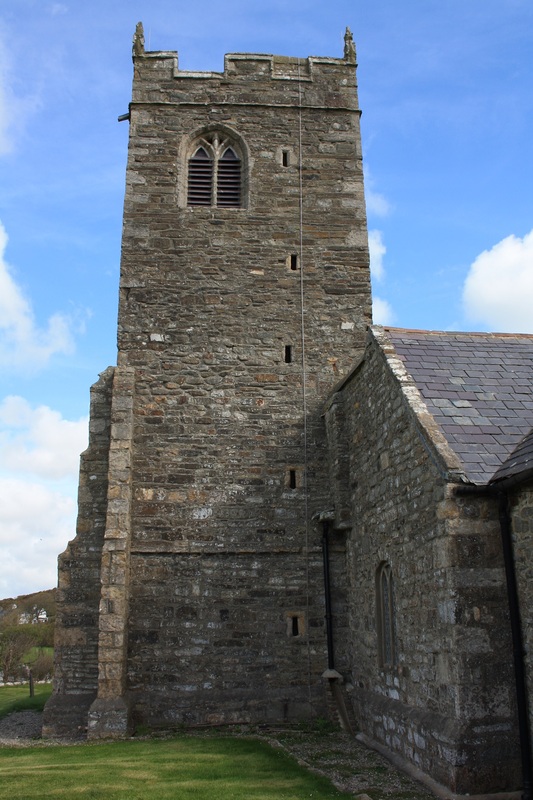 A fifteenth century poem celebrates Einion, the golden handed prince and his churches at Llanengan and at another unnamed location in Gwynedd. It was at Llanengan where he was buried and where his gilded, crowned effigy stood before the Reformation. Leland, writing in the 1530s, records a great pilgrimage there in the very early sixteenth century. Many cures were obtained at his shrine, and the parish grew rich on the proceeds of offerings from pilgrims and cure seekers. 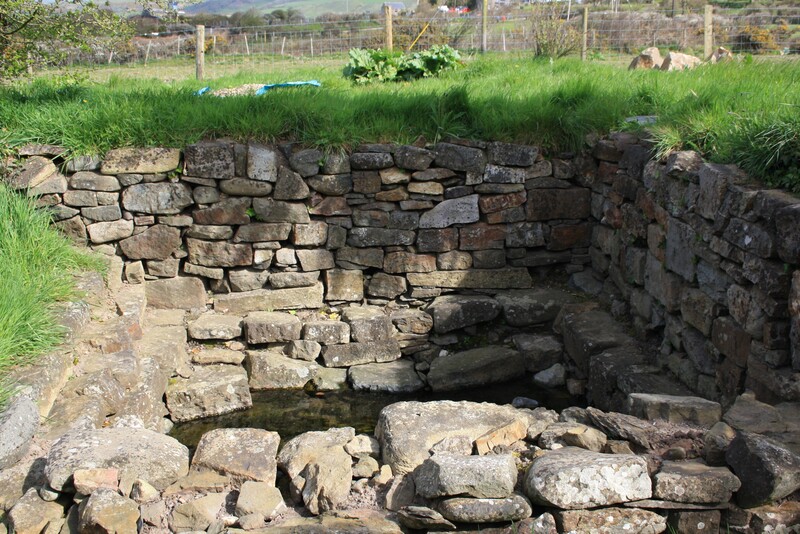 Possible holy well, slight remains of masonry, walled basin 3m square a new 0.6m deep. Water filled. . The implication here is probably that during the first half of the 20th century the structure fell into a very poor state of repair leading to the state the Royal Commission inspectors reported in 1964. It is certain that the restoration work carried out in the 1990s was extensive. 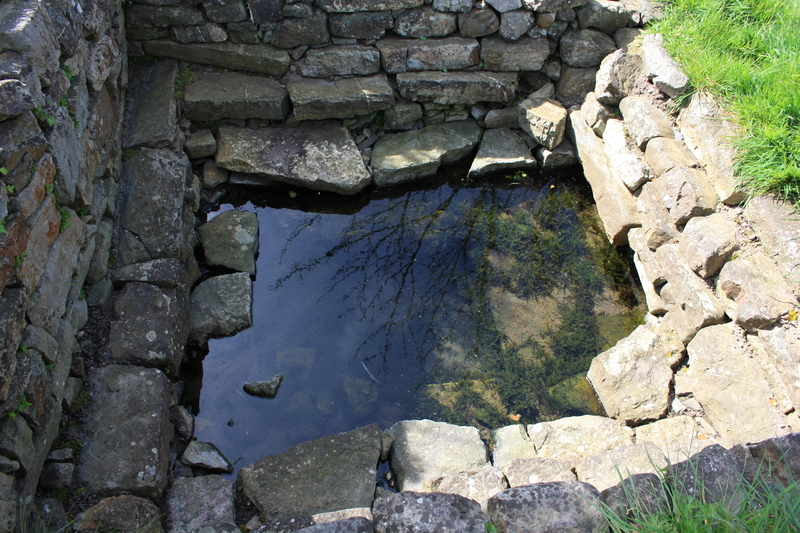 The basin previously described in 1910 and hinted at in the Coflein record can clearly be seen today with stone seating around the bath, and it is supported with dry stone walls on two sides to retain the earth bank into which it is set. It is a little unclear how much of this latter stone work is modern landscaping and how much follows the original construction. 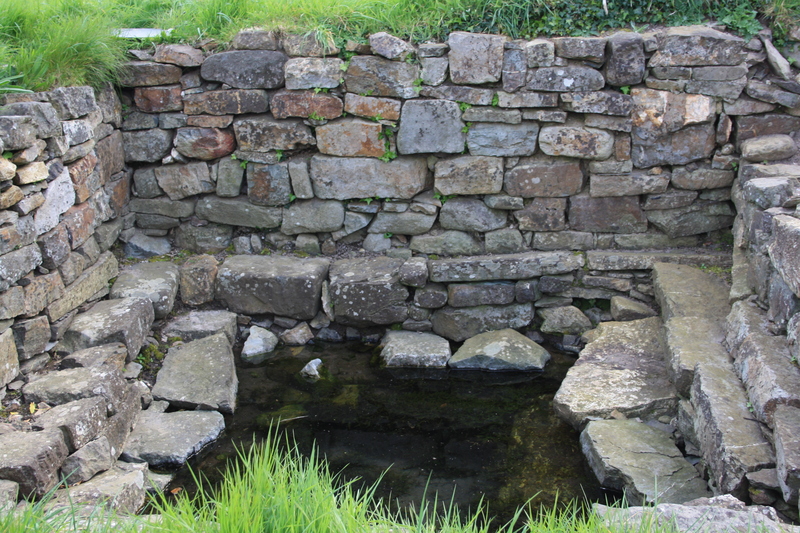 The owner, who was there at the time of the restoration mentioned that the stone steps into the well in the corner closest to the church, which are mentioned in the 1910 description, had been omitted at the time of the repairs, but which she would like to reinstate at some time. 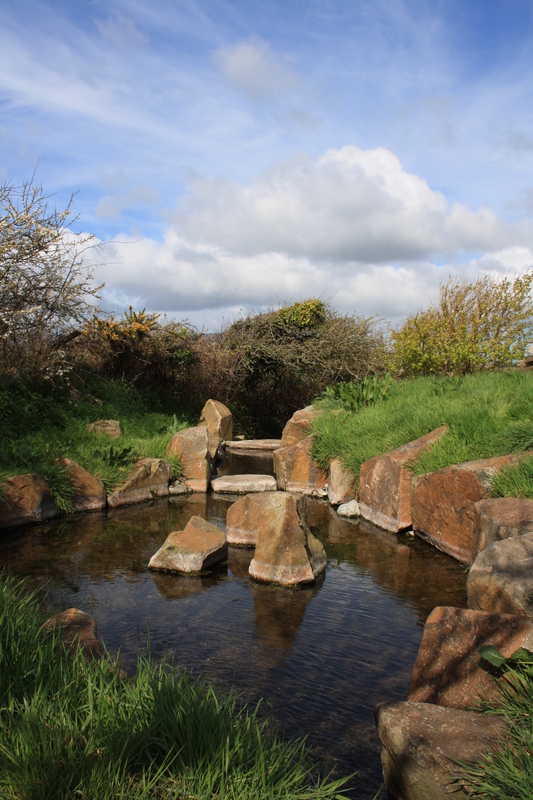 More recently the stream formed by the outflow from the spring, which forms a substantial flow away from the spring has been landscaped..
Einion’s feast day is given originally as February 9th but later appears to have moved to the 10th or 12th. We are very grateful for the interest and help given to us by the land owner, despite being called on early on a Sunday morning. H R Roberts Llanengan, History of Churches and Parishes in Llyn, Pwllheli 1910. cited by Llygad y Ffynnon 2003. There is a spring there marked on the map, but I don’t have any name for it, and have never seen it. Do you know anything about it?